Christian Michel moves bail plea in a Delhi court, submitting he ‘wishes to attend the holy mass on the Easter day’. His plea will be heard Thursday. 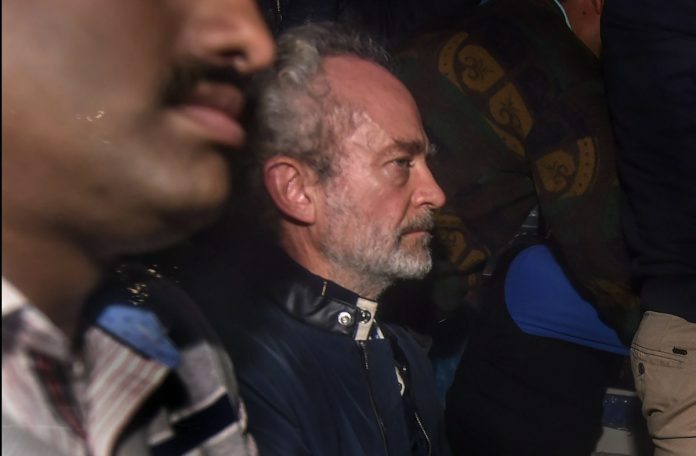 New Delhi: Days before the Christian community celebrates Good Friday, key accused in the AgustaWestland chopper scam Christian Michel has moved a Delhi court seeking interim bail for a week to celebrate Easter. On Tuesday, the alleged middleman submitted that he is going through a tough time psychologically owing to his time in solitary confinement. He added that he would find solace from the Christian religion into which he is born and his beliefs are strongly rooted in. Michel further said the investigation in the VVIP chopper case is still incomplete, six years after it began, adding he has been in custody for over nine months now. He said his health has not been good in the last four weeks and he wants to get a complete check-up. Earlier this month, the Enforcement Directorate (ED) filed a supplementary charge sheet before a Delhi court in the Rs 3,600 crore VVIP chopper scam naming senior Congress leaders and Michel as accused. Special CBI judge Arvind Kumar will decide on Michel’s bail plea Thursday. Sources said Michel intends to visit the Sacred Heart Cathedral Church in the national capital if he secures bail. In his plea, the British national pointed out that he was in the custody of the ED since his extradition in December last year till 6 January 2019. During this period, he was interrogated by the ED as well as the Central Bureau of Investigation (CBI). Before being extradited to India, Michel was in custody even as extradition proceedings were going on in Dubai. Michel said he was in ED’s custody during Christmas week, and was “interrogated” by the agency even on Christmas. “Being a Christian, he was not even allowed to offer a Holy mass even during Christmas. It is submitted that normally the applicant would be celebrating Christmas/New Year and Easter with his Family,” the plea read. “It is submitted that the week commencing from 14th April to 21st April is a holy week for the Christians’ and 21st April is the Easter which will be celebrated universally. The petitioner wishes to attend the holy mass on the Easter day and would like to make offerings during the Easter day,” the plea added. The plea submitted that the probe agency has accused Michel of entering in as many as 12 contracts through two of his firms to legitimise the illicit commission on the procurement of VVIP chopper by the Ministry of Defence. However, “no evidence was collected” with regard to the said allegations till date. It also pointed out that the investigation which has been going on since 2013 is still pending, six years later. In his plea, which will be heard Thursday, Michel said the CBI has produced “voluminous documents pertaining to the entire case”. The ED has “also given voluminous documents more than 3000 pages with regard to the entire investigation”. The plea, drafted by advocates Sriram Parakkat, Vishnu Shankar and Aljo Joseph, further submitted that Michel intends to file a more detailed bail application. However, carrying documents running into thousands of pages to Tihar jail every time is “proving to be difficult”.